In brief: Newspack could very well be a faster and more secure version of popular content management system WordPress that is found on millions of websites. Google, Automattic, and numerous private foundations have come together to build a modern web platform. 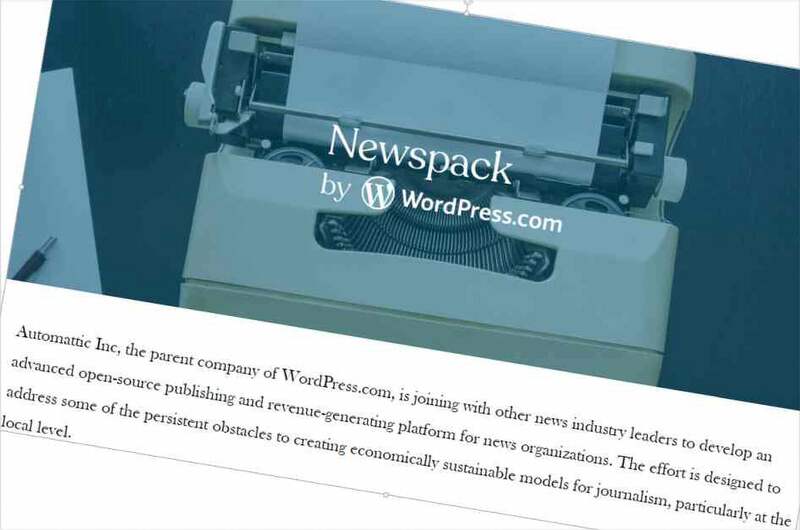 Staking claim to presence on nearly 30 percent of websites, Automattic and WordPress.com have come together to build a new platform called Newspack. The low-cost and secure system for publishers has also received funding from the John S. and James L. Knight Foundation, Lenfest Institute for Journalism, and Civil Media. Instead of spending time on all of the backend parts of a website, Newspack is being designed as an easy solution for small teams. Think of it as a rewritten lightweight version of WordPress that has cut out the unnecessary parts. WordPress plugins are meant to be fully compatible for groups that need extensibility, but the core will not bog down simple sites that just need to get information shared. Exact features to be included in Newspack are still under consideration. Research performed by local media groups will be passed along to Google and Automattic for analysis. The goal is to create a platform truly inspired by small publishers so that management is easy and site visitors receive a welcoming experience. So why exactly should anyone besides publishers care about this collaboration? WordPress may currently hold a spot on a relatively large percentage of websites, but most are blogs hosted by individuals, small businesses, and local organizations that do not have massive followings. If Newspack proves to be worthwhile, it may start replacing the traditional WordPress platform on millions of websites. Actual development of Newspack will start within the next few weeks. Google and Automattic are expecting to release the platform later this year globally.